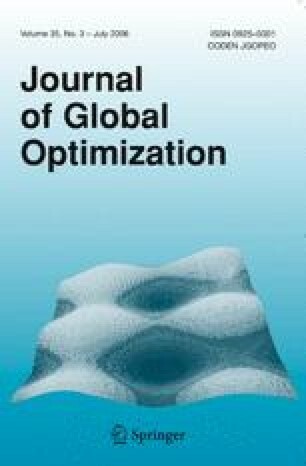 In this paper we propose a new multi-dimensional methodto solve unconstrained global optimization problems with Lipschitzianfirst derivatives. The method is based on apartition scheme that subdivides the search domain into a set of hypercubesin the course of optimization. This partitioning is regulated by thedecision rule that provides evaluation of the "importance"of each generated hypercube and selection of some partition element to performthe next iteration. Sufficient conditions of global convergence for the newmethod are investigated. Results of numerical experiments are alsopresented. Global optimization multiextremal algorithms Lipschitzian first derivatives convergence numerical experiments.